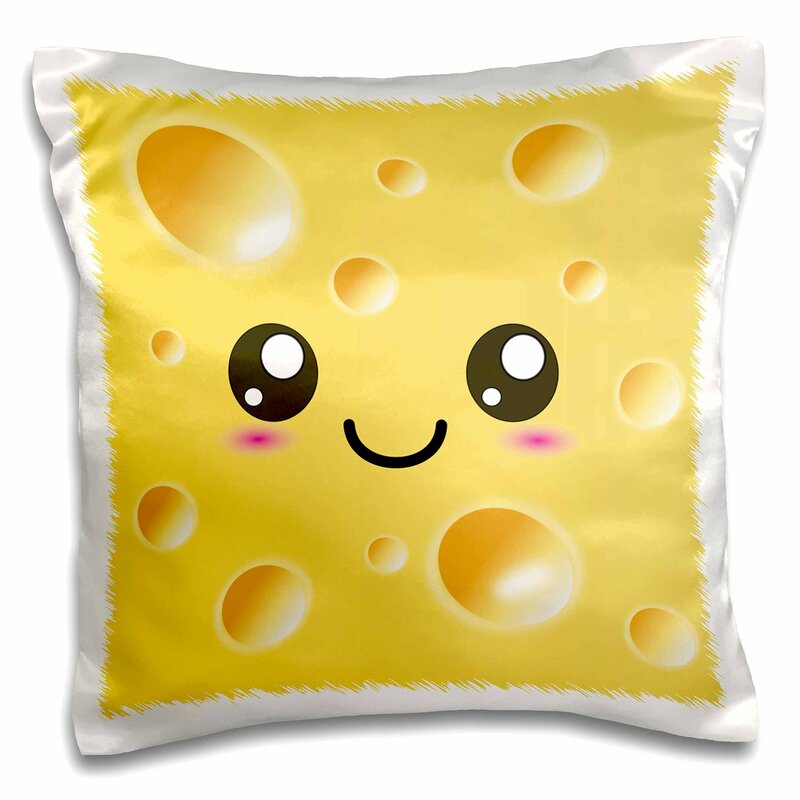 Happy Yellow Swiss Cheese with holes a smiley face and rosy cheeks – Adorable Foods Pillow Case is a great way to add a splash of style to any room. The unique design of this 16″ x 16″ throw pillow case is sure to turn heads. Made of a durable satin material with a rear fold over closure. Image printed on one side. Machine washable, cold water, no bleach, turn inside out. Pillow insert not included.